Whatever efforts you’re making to get pregnant, whether it’s lifestyle changes, acupuncture and/or medical treatment; your pre pregnancy diet makes a huge difference in either increasing fertility or causing more fertility problems. I teach my patients that food is medicine. Nutritional supplements help to fill in the gaps, but nothing can replace the effectiveness of maintaining a consistently healthy diet. Food and exercise are first and foremost. When you give your body the basics it needs, it’s amazing how quickly health problems resolve. 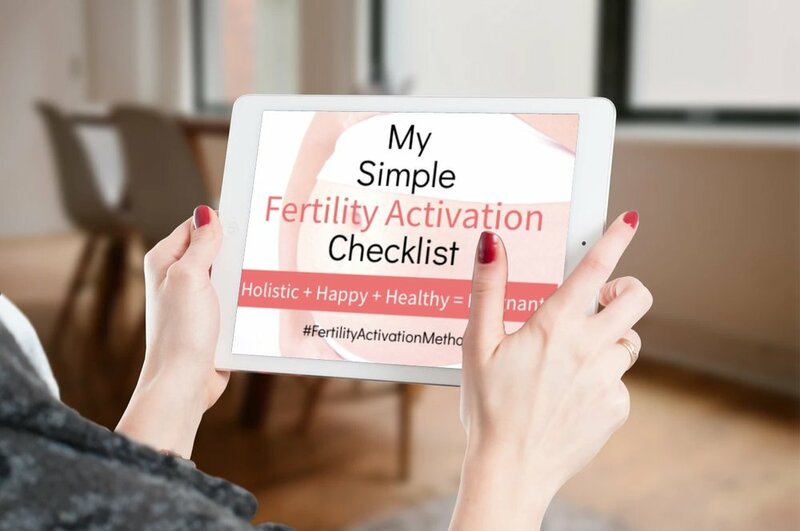 I created my premium program to teach you how to increase fertility with nutrition, exercises, and mind-body practices that make THE difference in achieving pregnancy. Eating seasonally is an important part of maintaining a nutritious pre pregnancy diet. Not only are seasonal foods fresher and richer in nutrients; they’re tastier, less expensive, and environmentally friendlier. You can even try your hand at growing them yourself. Gardening relieves stress and gives you a sense of connectedness with all of life; a great practice as you prepare for pregnancy. ALWAYS buy or grow organic! It’s tempting to save a few dollars by choosing non-organic foods, whether produce or meat, but it’s not worth it. What is worth a few extra dollars? Your fertility and health are! Studies have found that many women with breast cancer have elevated levels of pesticides in their system. Pesticides can interfere with your endocrine system and therefore may affect your fertility. Non-organic meats contain hormones and antibiotics, more chemicals that can mess with your cycle. Instead, save a few dollars some other way by cutting out an unnecessary expense. Healthy food is a must. Choose Non-GMO foods (Genetically Modified Organisms). GMO foods have been linked to lower birth rates and fewer babies in mice, according to a recent Australian study. GMO foods carry a list of serious health risks, infertility being at the top, as well as insulin regulation issues, which can also affect reproductive health. Corn and soy are the two largest GMO crops in the world, so be sure to buy organic Non-GMO corn and soy products. According to the USDA, an organic label implies Non-GMO, but whether that’s always true is debatable. Do your best to confirm by looking for both labels when possible. You want to cover four basics when eating for fertility: antioxidants; protein; Essential Fatty Acids (EFA); and complex carbohydrates. Antioxidants clean toxins from the body, improve egg and sperm quality, and support your immune system. Good quality protein builds eggs, sperm, and the uterine lining. EFA’s improve egg and sperm quality and are important for the brain development of your baby. Complex carbohydrates maintain healthy blood sugar levels, while processed carbs cause inflammation and blood sugar spikes. The largest portion on your plate should consist of veggies, while protein and carbs should play supporting roles. Eat a variety of seasonal fruits and vegetables to reap the benefits of a wide range of nutrients. Be mindful of eating too many cold fruits and raw veggies. Excessive amounts of cold and/or raw foods take a toll on the digestive system. In Chinese medicine, it’s thought that if the food isn’t cooked on the outside of the body, it must be cooked on the inside. This drains energy that would otherwise be used to support your reproductive system. Eat salads and raw food in moderation or consider pairing them with hot tea, soup, or a warm whole grain. Tomatoes are high in several antioxidants, including vitamin C and carotenoids, including lycopene; a carotenoid that reduces the tendency of blood clots to form. Not only does that support heart health, but also the health of your uterine lining. Bell Peppers are high in Vitamin C and A as well as minerals including iron. Fresh Corn is a gluten-free dietary fiber rich in antioxidants, B-Complex vitamins, and minerals. B-Complex vitamins are important for your fertility. Make sure it's non-GMO! Artichokes are high in dietary fiber, antioxidants, B-Complex, and minerals that support fertility. Cherries are a low-calorie delicious fruit high in antioxidants and minerals. They contain melatonin, which helps calm the nervous system and promotes good sleep. They have anti-inflammatory properties, which supports ovarian and uterine health. Berries-Blueberries, raspberries, blackberries, and strawberries are all exceptionally high in antioxidants. Yum! Plums are mineral and antioxidant rich and high in iron. Summer Squash contains Vitamin A, lutein, and selenium, which protects against DNA damaging free radicals and infections. Asparagus is high in dietary fiber, regulates blood sugar, and rich in antioxidants, folates, B-Complex; all great nutrients for fertility! Iced Decaf Green Tea is a powerful anti-oxidant and perfectly refreshing drink! Organic Grass-Fed Ground Beef Burgers are an excellent iron-rich source of protein. Grass-fed beef is also high in EFA’s and antioxidants. Women should eat red meat after your menstrual period and before ovulation to help restore iron and protein and build your uterine lining. Organic Grilled Chicken is another excellent source of protein when organic. Focus on eating chicken during ovulation through the end of your menstrual cycle. Grilled Salmon is not only a wonderful source of protein, but is the safest fish and a potent source of Essential Fatty Acids. Although it’s more expensive, Wild Alaskan Salmon is considered the safest with the lowest Mercury contamination levels. Avocados are a scrumptious power-food and full of healthy fats and antioxidants. Flaxseed Oil is another great source of EFA’s. Consider drizzling cold-pressed flax oil over your summer salads. Walnuts contain EFA’s and can be added to summer salads and fruit bowls. Baby potatoes makes an excellent addition to grilled summer skewers. This veggie contains vitamins and minerals and maintains blood sugar levels. Quinoa is a gluten-free complex carb and perfect protein. Make a grain salad mixed with walnuts, herbs, flax oil, and your choice of fresh summer veggies. Couscous is another whole grain that makes an excellent salad when mixed with nuts, herbs, and veggies or delicious as a side grain.